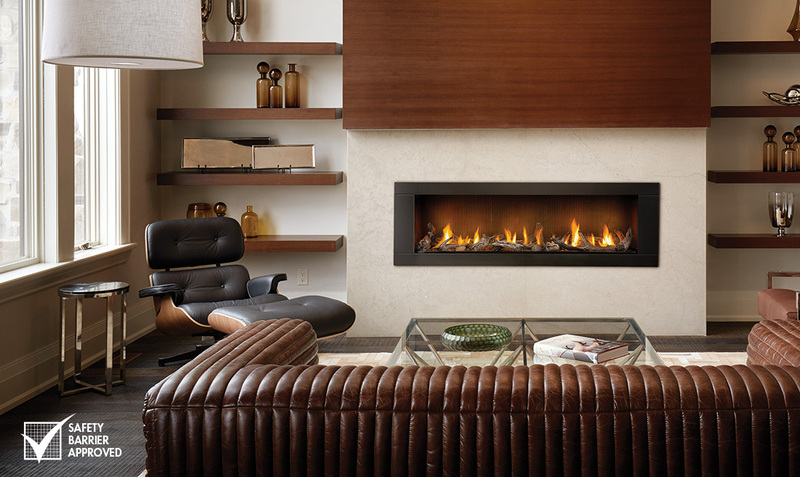 This modern fireplace is a marvel of ingenuity, featuring a clean-faced design that provides an unobstructed view to a realistic and gorgeous fire. 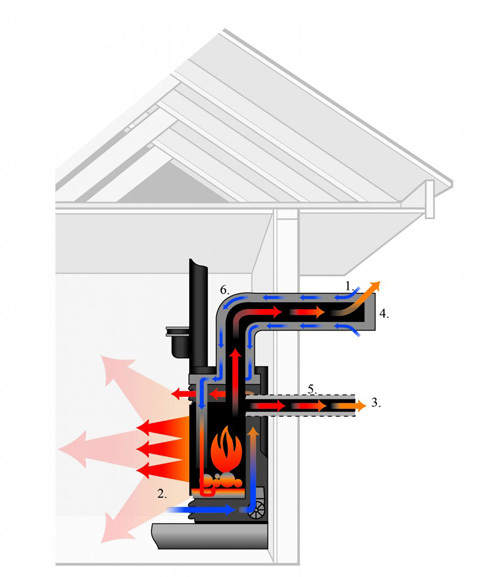 Boasting 40,000 BTU’s of heating power, you can extend your enjoyment of being outside without worry of the chilly weather. 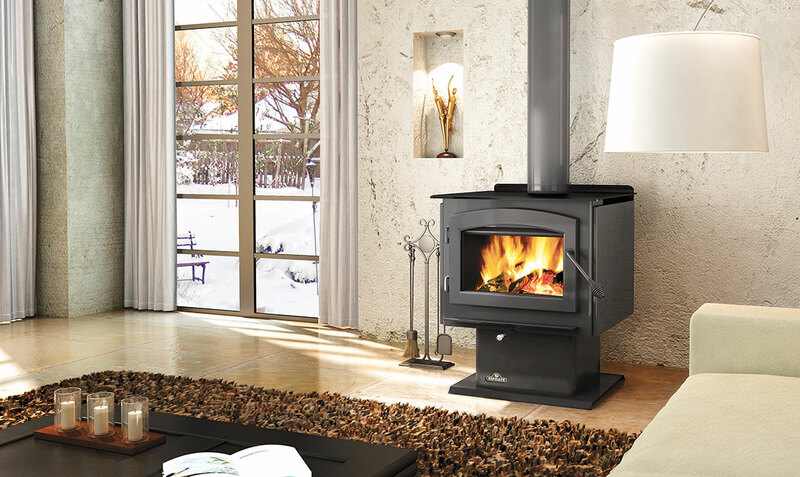 The Premium Birch Log Set creates a relaxed beachy feel while the Premium Oak Log Set gives a more traditional vibe, both perfect for indulging in some much needed relaxation. 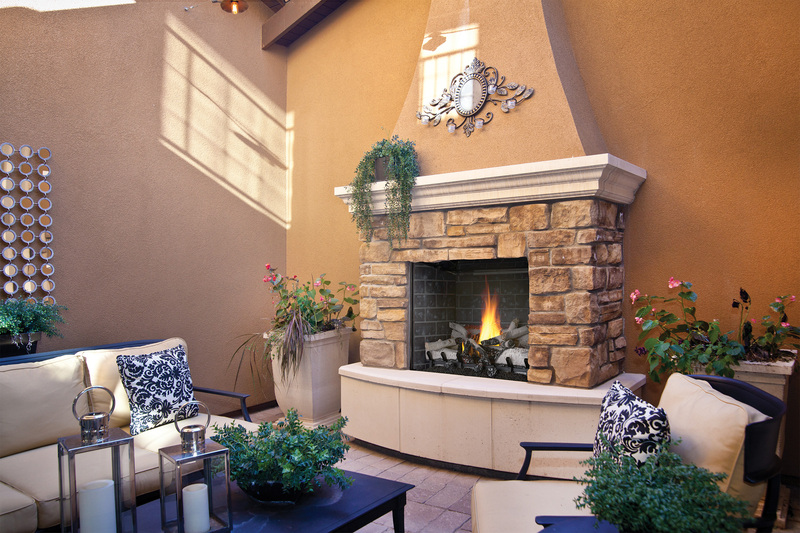 We at Napoleon believe that a home’s style and design shouldn’t be limited by installation requirements of a fireplace and neither should your outdoor living space. 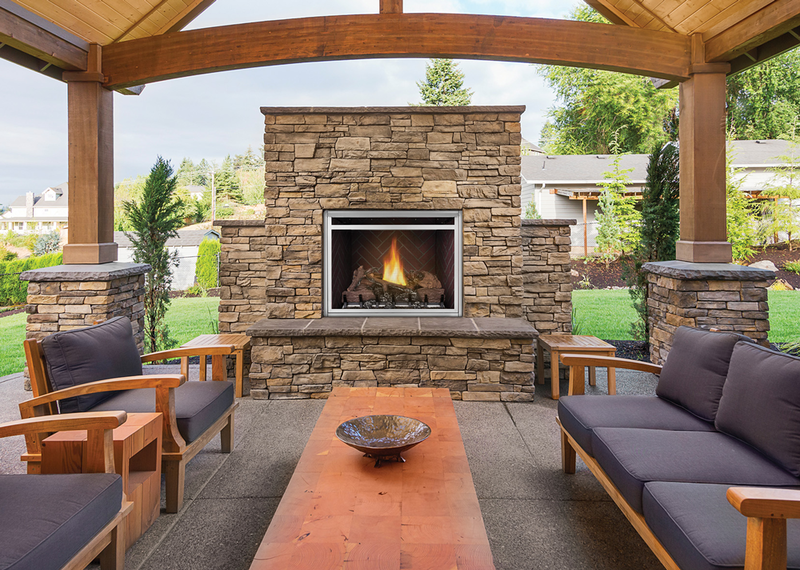 With the Riverside™ 36 Outdoor Gas Fireplace, you can luxuriate in front of an outdoor fireplace that can be installed anywhere. 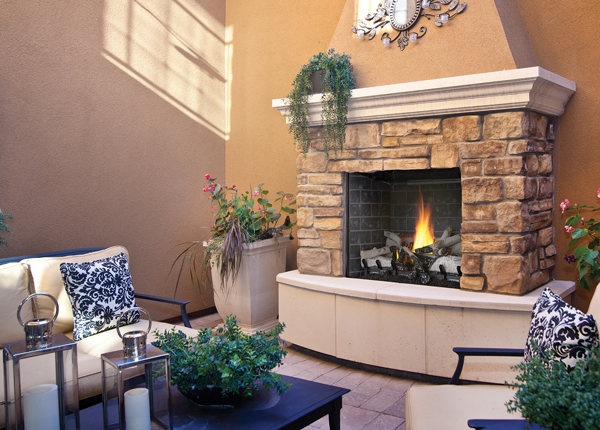 Without venting and chimney requirements, the installation possibilities of the Riverside™ 36 Clean Face Outdoor Gas Fireplace are only bound by your imagination. 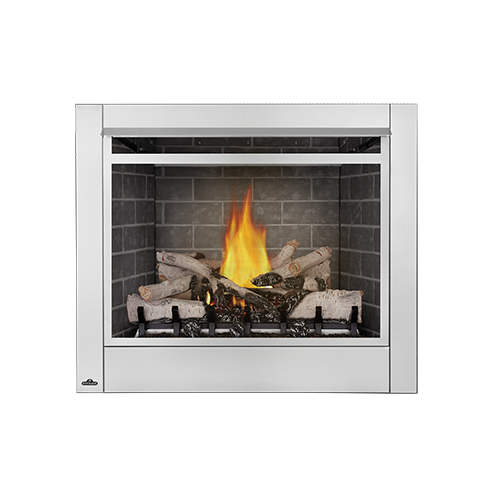 The 100% stainless steel construction of this outdoor gas fireplace means that you won’t have to worry about the weather ruining your fun. 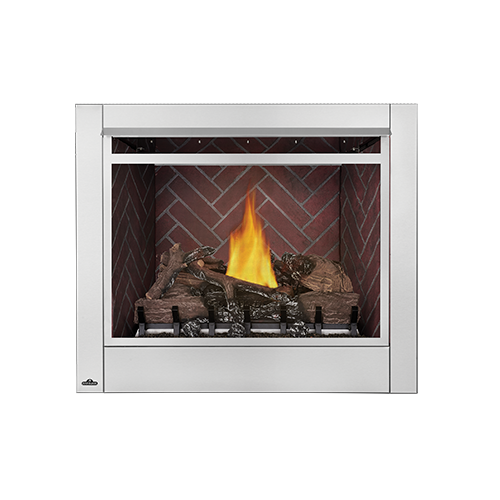 The Riverside™ 36 Clean Face Outdoor Gas Fireplace is built to resist the worst that nature can throw at it.